Home » Clinicians » Gary Hall, Jr.
Sprint freestyle legend Gary Hall Jr. is one of Fitter and Faster’s original stars, and he’s back in the water not to race but to propel other swimmers toward greatness. 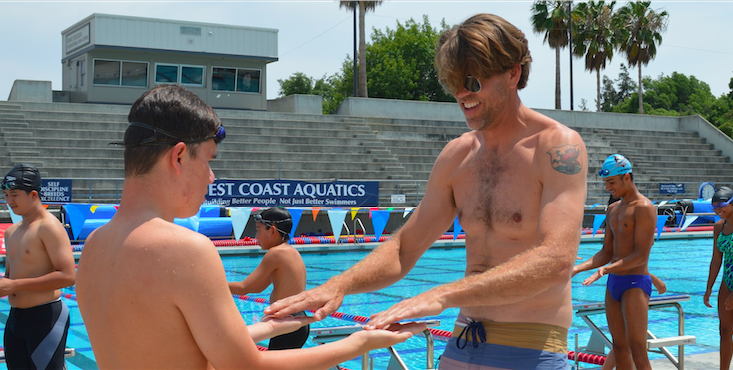 This 10-time Olympic medalist is beyond excited to reconnect with swimmers and get his feet wet as a clinician. 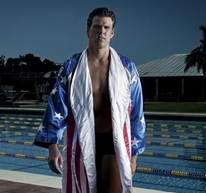 Participants will immediately be drawn in by Hall’s dynamic charisma and light-hearted attitude, as he wants to show swimmers “how to deal with race preparation and avoid pressure and psychological burnout.” This comes from the man whose pre-race routine consisted of walking out in a boxer’s robe and shorts, throwing punches behind the blocks. Along with handling pressure, Hall will teach participants how to prepare for races. Coaches and parents need to be aware that “there are a lot of different personality types, and the same approach doesn’t work for everyone. 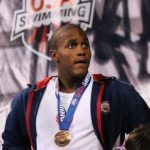 It’s not really possible to do a rah-rah speech that will affect each swimmer on the team the exact same way.” So how does Hall convert “practice swimmers” to his philosophy of race prep? It can be as simple — and silly — as jumping around on the pool deck, swinging his arms and making grunting noises. Participants are guaranteed not only to have fun but also view racing from a new perspective. 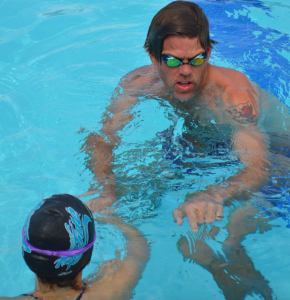 Coaches, athletes and parents alike will learn invaluable lessons from one of the greatest swimmers in history. Sign up now for his next clinic!